Did you find great L’Anse, Michigan real estate, or are you moving from L’Anse to the south for retirement? If you are moving to or from L’Anse, consider Guindon Moving & Storage. We service Michigan’s Upper Peninsula and Northern Wisconsin and have over 80 years of moving experience. We have two Upper Peninsula locations, one in Negaunee and the other in Escanaba. We are an agent of Stevens Worldwide Van Lines, and family-owned and operated. We provide a variety of services, including local moves, long distance moves, international moves, commercial moving, and storage. We offer short-term and long-term storage options in climate-controlled warehouses. At Guindon Moving & Storage, your experience will always be pleasant. L’Anse is situated in the Western half of Michigan’s Upper Peninsula and has access to L’Anse Bay. L’Anse is a small village in Baraga County, with a population of 2,011. It has a downtown area which overlooks Lake Superior and has shops and other businesses. L’Anse is a great place to move if you enjoy small town living as well as nature. Just 7 miles south of L’Anse is Canyon Falls, which lies on the Sturgeon River. Just past Canyon Falls, there is a popular place on the trial where residents and tourists alike go cliff diving. In L’Anse, you can also visit the Bishop Baraga Shrine, L’Anse Waterfront Park, Mount Arvon, and Baraga State Park. L’Anse is a great place to live if you like hiking trails and stunning views of Lake Superior, the largest of the Great Lakes. 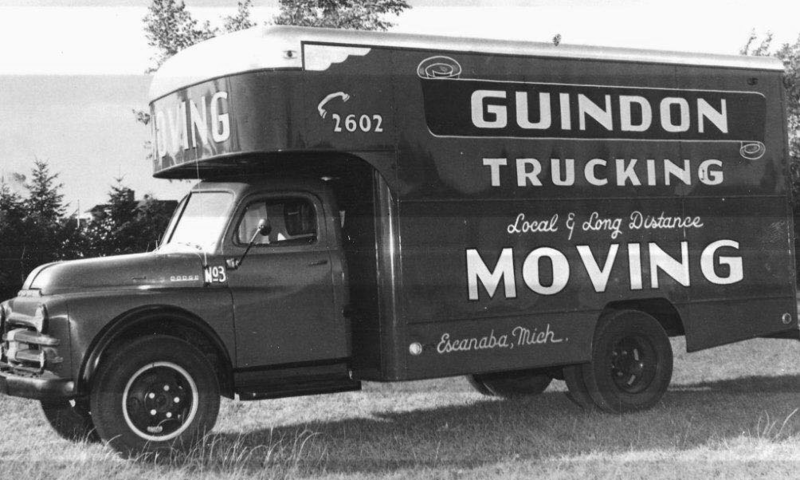 Guindon Moving & Storage is the largest full-service mover in Northern Wisconsin and Michigan, and with good reason. We offer high-quality services at competitive prices. We have a friendly, personable staff that provides great customer service and can help you with anything you may need during your L’Anse move. We offer assembly and disassembly of furniture as well as storage services in our Government approved and inspected warehouse storage units. Whether you’re moving your home or commercial building from L’Anse to Marquette or from San Francisco to L’Anse, we will provide a customized moving plan to fit your moving needs. We also offer electronic equipment packaging and shipping services, which is great for hospital and school moves. And don’t forget to check out our packing services. Let Guindon Moving & Storage be your Upper Peninsula moving company today! With Guindon Moving & Storage, your valuables will be moved with caution and care and will arrive to their new designation damage-free. Call us at our Escanaba or Negaunee location if you have any questions about a L’Anse move, or fill out or free moving quote form!